Acne scars are the prevailing problem for teenagers and younger adults. These acne scars are strong and it can traumatise the skin. There might be several factors but external factors like picking can worsen even small acne that results in stubborn scarring. Acne scar treatment in Mumbai intervene the strong acne scar and also really helps to boost the recipient’s self-confidence and for some it could be lifesaving. Recipients have to be aware of the fact that no single acne treatment is best for everyone. Here is what you need to know about the various methods of acne scar treatment that may help in improving the recipient’s complexion. # 1 – Medical therapy – World-renowned cosmetic dermatologist and dermato-surgeon expert like Dr. Rinky Kapoor will investigate patient’s condition and sort out the major causes of the acne scar. Then she comes with the optimal and specialized medical therapy in order to minimise scarring and to thwart recurrence. # 2 – Laser treatments – Laser treatment is said to be a more effective and reliable acne scar treatment that could able to remove deep rooted acne scar safely and successfully. Generally collagen fibres are severely damaged by bacterial infection, the laser therapy that actually helps to foster restructuring of the damaged collagen. Board-certified cosmetic dermatologists Dr. Rinky Kapoor will put recipients on Fractional Carbon Dioxide ablative laser treatment since it is one among the best and also termed as gold standard among all other acne scar treatment. Highly-experienced dermatologist guarantees to deliver the best laser treatment for acne in Mumbai. Based upon the severity of acne scar condition the dermatologists will figure out few to multiple sessions of laser therapy for amazing outcome. # 3 – Chemical peels – Chemical peel treatment enhances the skin’s complexion. Chemical skin peel technique makes use of medical grade products like chemical solution to cast off the dead skin layer thus allowing the smoother and scar free skin than the previous one. Depending on the recipient’s scar severity the doctor will suggest the best suitable peel. # 4 – Microdermabrasion – Microdermabrasion is one of the non-surgical facial resurfacing techniques recommended for recipients who wish to treat acne at early stage and helps in removing the superficial layer of dry, dead skin cells. # 5 – Dermarollers & Cryorollers – This roller technique is a microneeding type treatment that is useful in removing shallow acne scars and meanwhile it also reduces acne, zits and subsequent scarring in order to enhance the overall skin complexion. # 6 – Radiofrequency techniques – Radiofrequency or RF treatment is one of the revolutionary methods to stimulate the collagen without making use of the laser-light interactions. This would be perfect for treating shallow acne scars. 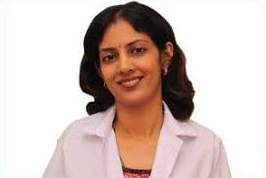 Dr. Rinky Kapoor is the most trustworthy dermatologists who have been tirelessly working towards to deliver the best acne scar treatment in Mumbai. Stubborn acne scar can be treated through acne treatment , Mumbai is home soil for many reputed clinics which are associated with highly-qualified dermato-surgeon expert. At www.Dermatologistmumbai.com recipients can find wide range of treatment for acne scars and other cosmetic problems. Various testimonials from good clientele list guarantees that Dr Rinky kapoor is a renowned expert who performs the world-class treatment. ← Microdermabrasion Clinics in Mumbai, India – How to choose the best one?